A bike is a fun way to keep fit and a perfect ally to your daily commute. It is always a great companion to your weekend adventures. Whether you are looking to hit the trails or just cycling to the shops, our selection of Raleigh, Scott, Haibike and Diamondback bikes is sure to have something for you. 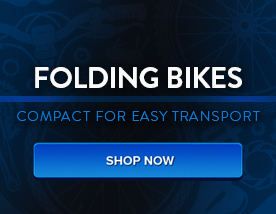 If you are new to cycling, you might be a bit overwhelmed by the many options to choose from. Simply follow these basic steps and you will be able to narrow it down. The main question you need to answer is: What type of roads are you going to be cycling on? 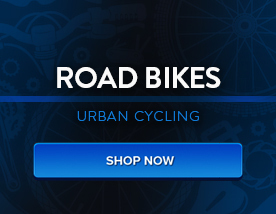 If you are primarily going to cycle on paved roads, then go to our road bike section. These bikes have lighter frame and slimmer tyres to run smoothly on tarmac. 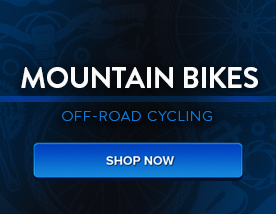 However, if you plan to hit the trails, you will want to pick a mountain bike (or MTB). Their heavier frame, larger tyres and suspension make them ideal for rocky trails and forest paths. If you are going to use it on paved roads, expect some lag and resistance. 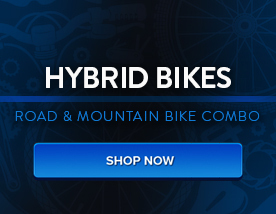 Opt for a hybrid bike if you are going to switch between road and trail. The hybrid bikes have the same upright sitting position as the mountain bikes and are ideal for commuting or casual riding. They combine the best of both world: some of the sturdiness of the MTB and some of the speed of the road bike. Choose a gravel bike if you plan a touring holiday. These bikes can be ridden almost anywhere, on the road and off it. These adventure ready bikes tend to have a longer frame, bigger tyres than road bikes and disc brakes. If you are looking for a way to ease you into the sport, we’d recommend you have a look at our electric bikes. Giving you the little extra push when you need it the most, the e-bikes will make your riding experience a very enjoyable one straight away.